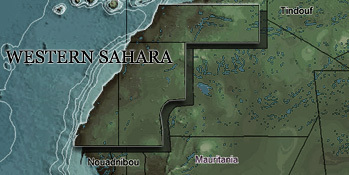 Western Sahara is occupied by Morocco. Entering into deals with Moroccan companies or authorities in the occupied area lends a sign of political legitimacy to the occupation. It also gives job opportunities for Moroccan settlers and income for the Moroccan government. Western Sahara Resource Watch works in solidarity with the people of Western Sahara. The majority of the country's indigenous population, the Sahrawis, has lived in refugee camps in the Algerian desert since Morocco occupied their homeland in 1975. A part of the Sahrawis remained in the occupied territories, where they are subjected to serious human rights violations, and where they are excluded from the major businesses of phosphate mining and fishing. More than 100 UN resolutions support the Sahrawi people's right to self-determination over their home country, a right that Morocco is denying them. WSRW today consists of organisations and individuals from more than 40 countries, who together research and campaign the foreign companies involved in the resource rich country. We believe that the occupation of Western Sahara will not stop as long as Morocco profits from it. The organisation Western Sahara Resource Watch started up as an informal network of Western Sahara activists in Scandinavia, Holland and UK in the summer of 2004, to exchange information about the illegal oil industry in Western Sahara. At that time, a Norwegian seismic survey company, TGS-Nopec, had already finished mapping the sea-floor offshore Western Sahara. Simultaneously, it was known that the Dutch company Fugro, and some of its subsidiaries in the UK did similar seismic work. The exchange of information and the joint elaboration of a campaign to make the companies leave Western Sahara, quickly spread to new countries. In this initial stage, the network worked under the name International Coalition for the Protection of Natural Resources in Western Sahara. In 2005, that name was changed to the current Western Sahara Resource Watch (WSRW), and a platform consisting of missions, objectives and demands (below) was formulated. In 2006, WSRW established the Fish Elsewhere! campaign, that worked to prevent the European Union to sign a fisheries agreement with Morocco, that would permit fishing boats from the EU to fish in Western Sahara waters. Read more about the campaign here. - and in the Charter of Economic Rights and Duties of States, of 1974, whose art. 16, nr. 2, reads: "No State has the right to promote or encourage investments that may constitute an obstacle to the liberation of a territory occupied by force". WSRW is an international non-governmental coalition of organisations and individuals working for the protection of natural resources in WS. -To affirm the sovereignty of the Saharawi people over their natural resources as the corollary of their right to self-determination. -To break the link between the exploitation of natural resources and the funding of the Moroccan occupation of the territory. -To stop and prevent foreign companies from exploration and exploitation of natural resources in Western Sahara in disregard of the wishes and interest of the Saharawi people. -To ensure the preservation of the natural environment in Western Sahara. -To encourage and support legal actions against companies, governments or multinational organisations that participate in illegal exploration or exploitation activities in Western Sahara. -To collect and disseminate information and evidence documenting natural resource exploitation in Western Sahara and engage in vigorous campaigning to achieve real and effective change. -To forge a network of local, national and international organisations that promote and protect the rights of the Saharawi people over their natural resources. ...all of Morocco's trading partners to demand from their Moroccan counterpart that no Western Sahara products are included in the deliveries.